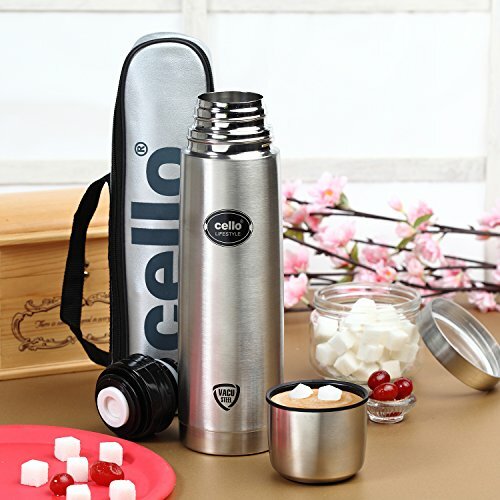 Carry tea or coffee to office in this bullet vacuum flask and ensure it stays warm for a long period of time. 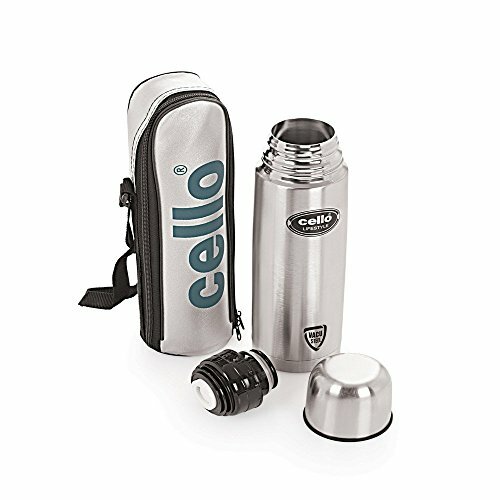 This bullet vacuum flask is carefully made from fine-quality stainless steel, plastic and rubber, which make it a worthy investment for sure. LIMITATION OF LIABILITY. NOTWITHSTANDING ANYTHING IN THESE TERMS TO THE CONTRARY, TO THE MAXIMUM EXTENT PERMITTED BY APPLICABLE LAW, (A) IN NO EVENT WILL SELLER OR ITS SUPPLIERS BE LIABLE TO BUYER OR ANY THIRD PARTY FOR COSTS OF PROCUREMENT OF SUBSTITUTE GOODS OR SERVICES, OR FOR ANY SPECIAL, INDIRECT, EXEMPLARY, INCIDENTAL, PUNITIVE OR CONSEQUENTIAL DAMAGES (INCLUDING, WITHOUT LIMITATION, DAMAGES FOR LOSS OF PROFITS, BUSINESS INTERRUPTION OR ANY OTHER LOSS), AS A RESULT OF THE OFFER, SALE OR USE OF GOODS OR SERVICES, UNDER ANY THEORY OF LIABILITY, WHETHER BASED IN CONTRACT, NEGLIGENCE, TORT, WARRANTY OR OTHER WRONGFUL ACT OR OMISSION OF SELLER AND EVEN IF SELLER HAS BEEN ADVISED OF THE POSSIBILITY OF SUCH DAMAGES AND (B) SELLER'S TOTAL LIABILITY FOR ALL CLAIMS WILL BE LIMITED TO DIRECT DAMAGES IN AN AMOUNT NOT TO EXCEED THE TOTAL PRICE PAID TO SELLER PURSUANT TO THE ORDER UNDER WHICH LIABILITY AROSE. 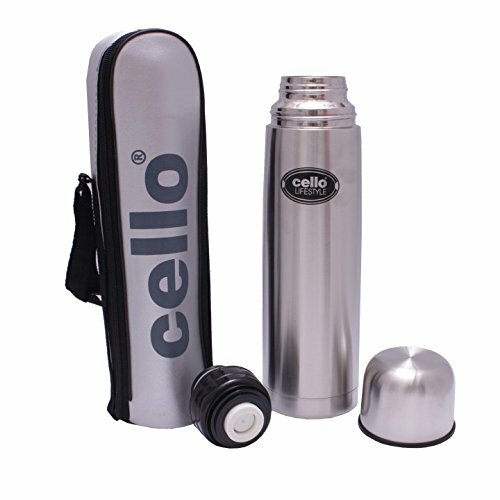 Good quality flask with open lid from Cello.Water stays pretty hot/cold for 24 hrs atleast.Worth buying for home use or travel etc.For.official purpose would suggest one with lid. The product delivered on time. Packing quality was good. 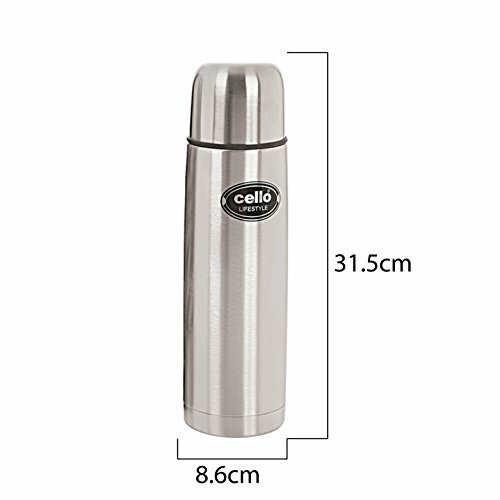 I use this Flask for storing hot water. So far it is working awesome. Water remains very hot for more than 12 hours. Even after two days water will be warm.Liked the product. 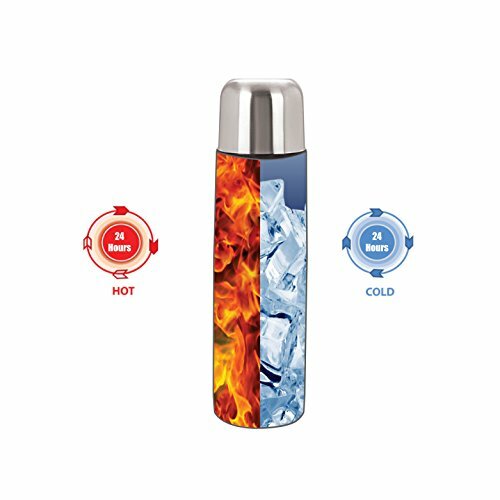 V.Good quality.Water remains hot for 7-8 hrs!! product is excellent. 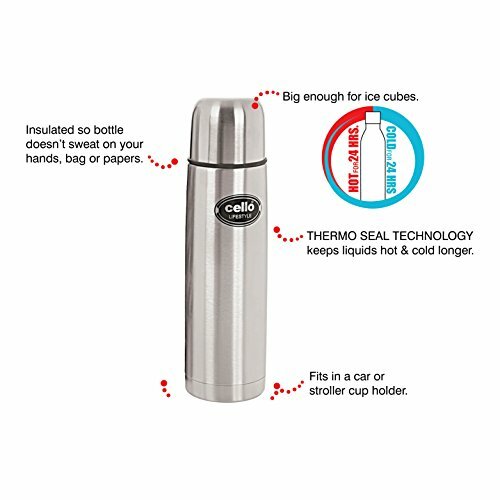 makes 4 to 5 cups of tea, coffee milk or any hot serve…. heat lasts long. 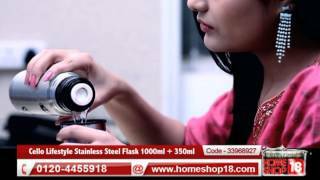 good product try it.fit for couples if big family try for half or l liter product. Superb product. Large container. Really keeps things as-is for at least entire day. Push lid is very smart and helpful. Must have product. I am impressed with heat preserving efficiency. Otherwise overall good quality. Satisfied.